The Vapors is a super versatile surfboard that can be ridden just about every day – from tiny ankle snappers to head-high barrels. OUTLINE: Wide, full outline that is relatively straight yet broken up by a hip in the tail which allows for a tight turning radius. The diamond tail makes for a great combination of drive and manueverabilty. ROCKER: Low entry rocker for paddling power and planing through flat sections. CONTOURS: Single to double concave for speed and flow. 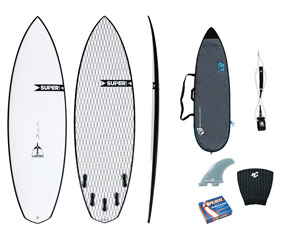 PERFORMANCE: A well rounded, jack-of-all-trades board that works well from knee high to overhead surf. 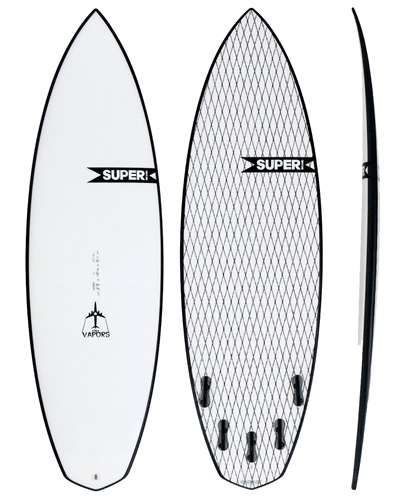 Paddles great and has a five fin setup that allows it to be ridden as a quad or thruster. NB: Fins NOT supplied with this board. Instead of relying on a wood stringer, Superflex construction technology uses a lively stringer-less EPS core and woven Kevlar aka “Vector Net”. 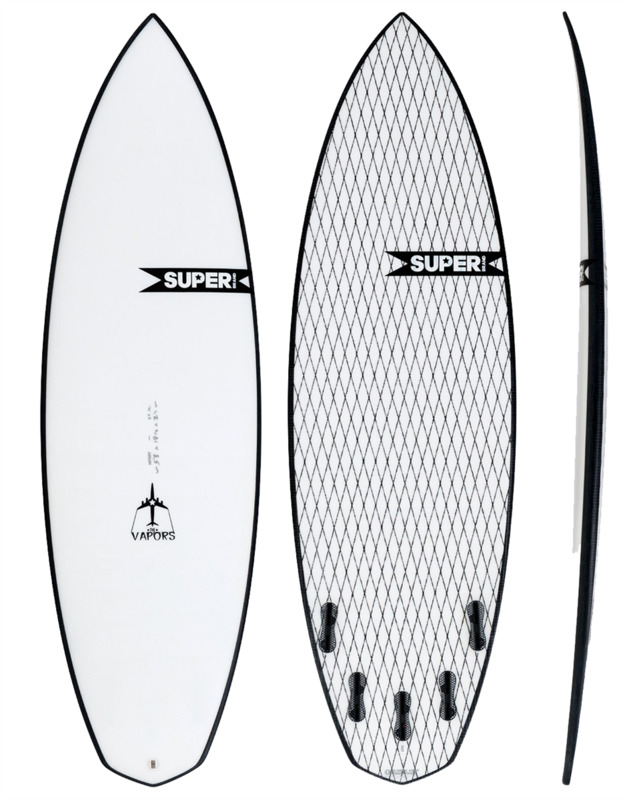 Wrapping the board with vector net and three types of fiberglass (6oz e-glass, 5oz bi-axial, and 4oz e-glass) creates flex and strength throughout the board. This results in a consistent feel tip to tail and allows the board to flex naturally with the contours of the wave and in response to applied pressure from the surfer, all while creating a spring back feeling when coming out of turns.